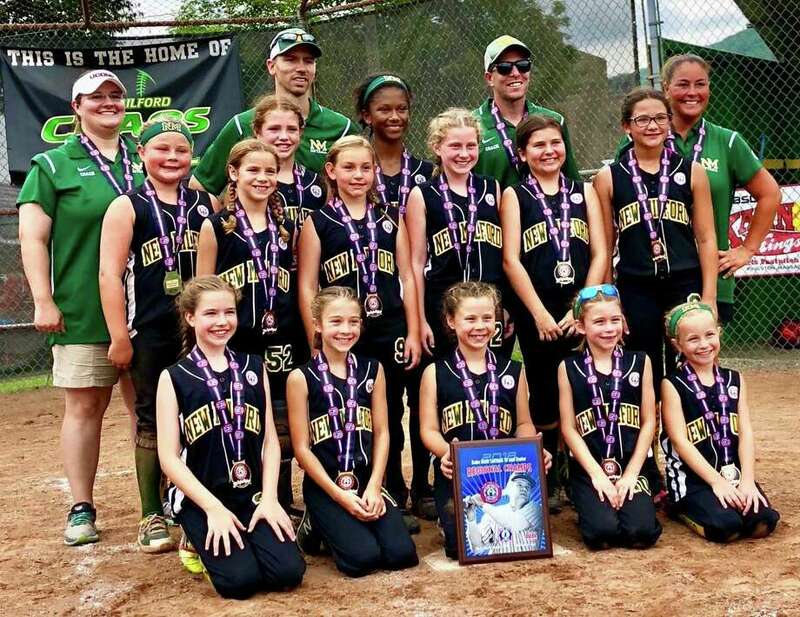 After placing third in the state tournament, the New Milford Chaos 10-year-old softball team won the Babe Ruth New England regional tournament, going a perfect 6-0 in four days of play. The Chaos has qualified for the 10-year-old World Series, scheduled for July 28 through Aug. 5 in Jensen Beach and Stuart, Fla.
New Milford defeated Barrington, N.H., 11-7; Lewiston, Maine, 19-2; Kingston, Mass., 8-3; Exeter, N.H., 8-4; Stamford (the Connecticut state champ) 3-1; and Kingston again, 14-5, for the championship. The team included players Colleen Shields, Elena Stein, Kelsey Blom, Alana Beatty, Lauren Carlson, Cienna McNamara, Regan Williams, Clare Moore, Lia Manka, Nea Plisko, Regan O’Loughlin, Taylor Classey and Ava Kopp, coaches Suzanne deBary, Rob Williams and Joe Beatty, and manager Michelle McNamara. Many were a part of the 2016 New Milford 8-year-old team that won the state and New England titles and took second at the World Series in the Diamond Bracket.